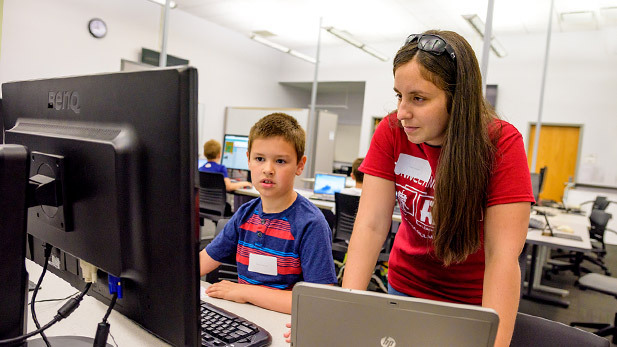 Children will work with Rose-Hulman professors and student mentors to learn about computer programming and software development in order to complete a variety of projects during this summer’s Connecting with Code computer camps. A series of weekly Connecting with Code computer camps are being offered on campus during June to get elementary and middle school-aged children interested in software development and computer programming. Camp sessions on computer game design are planned for June 4-9 (9 a.m. to noon) and June 11-16 (1-4 p.m.) for children finishing first through fifth grades this school year, and June 4-9 (1-4 p.m.) for students in sixth through eighth grades. The elementary school children will use the Scratch simple programming system to create their own small game or a series of games. Meanwhile, middle school students will be introduced to the Python programming language to create more advanced computer games. Youths attending each camp will receive a book to help create more games throughout the summer. From June 11-16, there will be camps for children currently in grades 1-5 (9 a.m. to noon) and grades 6-8 (1-4 p.m.) to use Micro:bit mini-computer boards and the Python programming language to drive a miniature buggy around a track, make their own remote-control car and play music. Each camper will get to take home a Micro:bit computer board to continue playing and learning. Lastly, from June 18-23, children can expand their learning by working with a Lego Boost robot and Lego Mindstorms NXT system (grades 1-5, 9 a.m. to noon) or a SparkFun Inventor’s Kit (grades 6-8, 1-4 p.m.) to learn programming and basic electronics to create a robotic car. 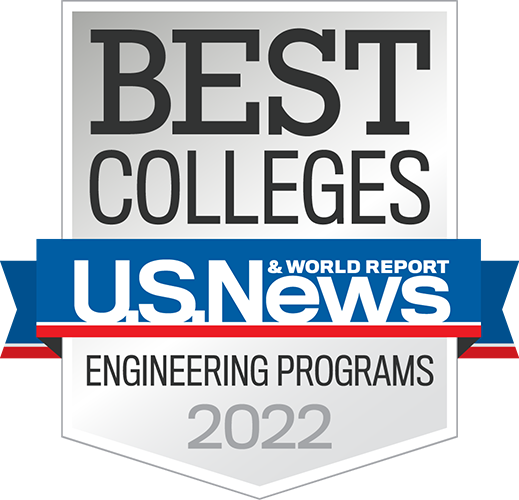 All camp sessions are conducted at Rose-Hulman and led by institute faculty members, assisted by Rose-Hulman student mentors. Computers and other equipment are provided. The cost is $150 per week for each registered child. Besides the computer instruction and activities, each camper will receive a t-shirt, daily snacks, certificates of completion and a small gift related to their camp choice to encourage future programming. Children can participate in each of the three camp sessions. A $5 discount is provided for families with multiple registrations and scholarships are available for families with financial need. There’s special interest in getting girls involved in each camp session. Space is limited for each camp session and openings are currently filling. Get registration and scholarship information here.